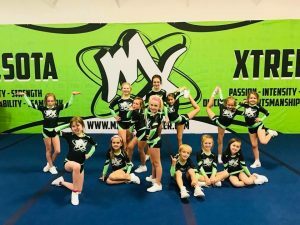 At Minnesota Xtreme we offer half-year and full-year competitive teams for all ages. Our competitive teams compete in Minnesota, regionally and even nationally. Competition schedules vary by team so if you’re not sure what you are looking for please email us at info@mxallstarcheer.com or give us a call at 952-239-2561. For more information about our All Star Prep (half-year) teams and All Star Elite (full-year) teams please click on the appropriate picture below.